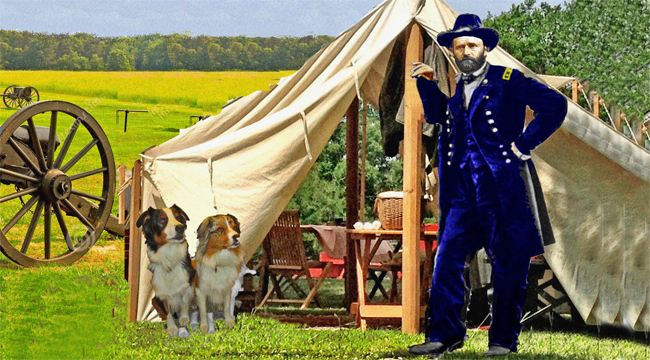 U.S. Grant On Crosscurrents, 4/27 – Doggedly Yours… Howling, Humor, and History. U.S. GRANT ON CROSSCURRENTS, 4/27: Commanding general leading Union Armies in the American Civil War, and later elected 18th President, Ulysses S. Grant was born on this date in 1822. Gavin and Wyatt take their obedience directions from Grant at his military camp while John will take his playlist from the music library and you are invited to U.S. Grant’s birthday on Crosscurrents, 4/27 at 8 a.m.